Fans of ska will love this news. Indie Vison Music has released the third in the series of ska compilations. Simply click the link at the bottom of this news item and supply your email address for the free download. Ska Lives and Indie Vision Music presents… “Ska Lives Vol. 3″! Our latest compilation featuring some of the greatest indie Ska artists from around the globe! Our previous compilations “Ska Lives Vol. 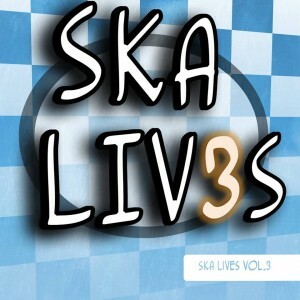 1″ and “Ska Lives Vol. 2″ have been enjoyed by thousands of fans around the world, and featured a variety of different types of Ska, from Traditional Ska, to Two Tone, Third Wave, Ska-core, Punk with Horns, Reggae, and just about any other variation of the Ska genre that you can imagine! “Ska Lives Vol. 3″ follows in this tradition, featuring a wider variety of music that ever before, as well as new music from veteran artists such as The O.C. Supertones, The Insyderz, and CodeName: Rocky, as well as up-and-coming artists such as May Weather, The Anchorage, and Sounds of Salvation! The album also features a special unreleased track recorded by The Dingees’ original lineup! We truly believe that this is our best compilation yet!